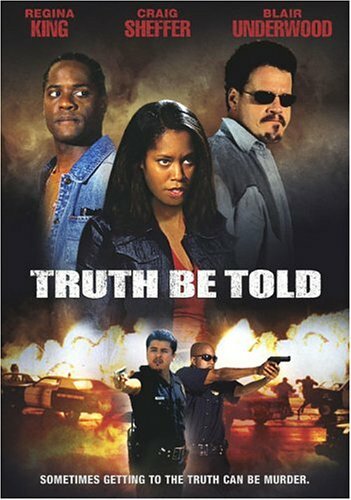 Truth Be Told is a boring cop thriller that's not very thrilling. Cops Stratten and Harris (Sheffer and Underwood) are corrupt cops after some dirty money. There's a doublecross involving Rayne (King) too. The problem is that nothing happens in this movie. The movie stares back at you with a blank expression. If you look at the cover, it looks like an exciting action thriller. The Lionsgate company always practices the "art of the deceptive cover". This is no exception. There is no action, just talking. Craig Sheffer and Blair Underwood are okay, but King doesn't have anything to work with. Truth Be Told was also known as: "Final Breakdown" and "Turnaround". If the movie can't decide on a title, that means the movie can't decide on a tone or genre. The "Truth" is: "Turnaround" when you see this, and you won't regret it. Could you write an article in 'cool info' explaining the "deceptive cover" in more detail?